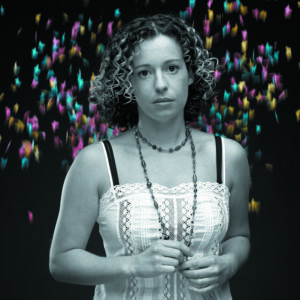 The latest release from folk-siren Kate Rusby, ’The Girl Who Couldn’t Fly’ is her most personal and revealing album to date. Now (in her own self-mocking words) a “sprightly old lady of 31, The Girl Who Couldn’t Fly is Kate’s sixth solo album. Her dedication to the most pure version of English folk music has transformed the genre. Because of Kate, “English Folk Music” is no longer considered a dirty phrase among fans and critics. She makes folk music for people who never thought they would like folk music. The Girl Who Couldn’t Fly is a blend of traditional folk tunes and new originals. The same graceful, timeless feel of the songs Kate digs out of dusty old books can be found in her own compositions. A casual listener would be hard-pressed to distinguish one from the other. The input on ’The Girl Who Couldn’t Fly’ from John McCusker, Kate’s producer and fiddle player, was crucial to her creative process. As well as playing fiddle, all manner of other instruments, and producing the album, John collaborated with Kate to arrange all its tracks. Between the two of them, they drew on the talent and passion of a brilliant team of musicians ranging from Ian Carr, ace guitarist and dab hand at table tennis (the band’s new therapy of choice when touring), to brass bandsmen from the Coldstream Guards. After putting in the CD, many fans will take out the booklet. Once they’ve stopped gawking at the stunning artwork by former Blur guitarist Graham Coxon, will wonder about the album title. Kate has tried hypnotherapy, read books about planes and their safety records, but none of it seems to help. The girl who couldn’t fly feels lucky that her music can travel the world without her.